The following is a press release issued by SOtM Audio. April 6, 2017 - We today announce that tX-USBultra is available.SOtM tX-USBultra is a 2 ports USB regenerator and jitter cleaner designed for the best USB audio performance. 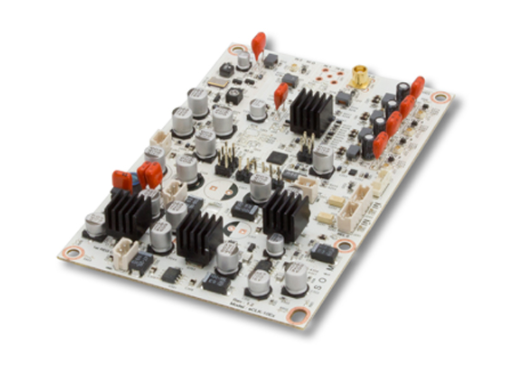 SOtM tX-USBultra is designed to reach to the goal which improves sound quality. It works as a hub by receiving and distributing USB audio signal, but regenerating the USB AUDIO signal by the high-performance super clock module, sCLK-EX, installed inside of the product, so that sound could be superior to any other USB audio product and step into the upgraded sound. The sCLK-EX is the super clock module can be used for all digital devices that require clock signals such as a DAC, USB host card, CD player and PC main board,etc. The sCLK-EX could synchronize with a high precision clock such as the rubidium clock. You are able to reach to the completely new sound stage by the sCLK-EX even though your system is based in already advanced technology and good sound. sCLK-EX :starting from US$700. Variable from how many outputs enabled and depends on options. SOtM will attend and exhibit at 2017 High End, the show is starting from 18th, to 21th, May and our booth is in Hall2, E07.